Smart devices are getting smaller and smaller but the main problem is the high power consumption of these devices. Novel materials like graphene, silicene, semiconductors and topological insulators might help us solve this energy efficiency problem. 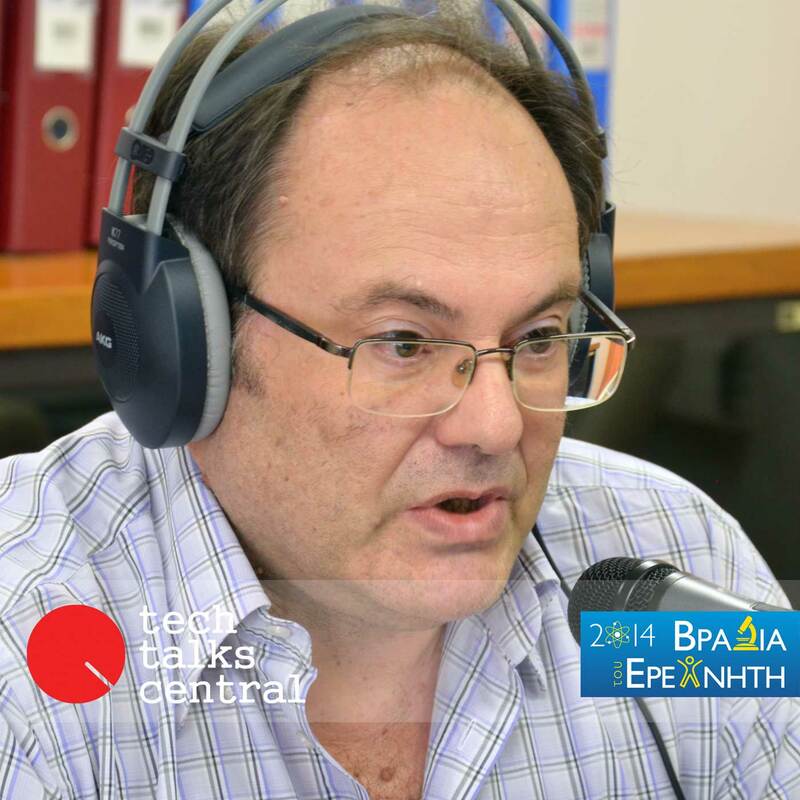 Dr Athanasios Dimoulas, Research Director in the field of Materials for Nanoelectronics at NCSR Demokritos, explains us what those materials can really do and how the nanoelectronics industry can benefit from them. Interviewed by Sakis Triantafyllakis for Tech Talks Central. Research Director in the Department of Materials Science, NCSR "Demokritos"
Dr. Dimoulas obtained his Ph.D in Applied Physics from the University of Crete and the Foundation for Research and Technology (FORTH) in Greece in 1991 on MBE heteroepitaxial growth of GaAs and related compounds on Si. He was Human Capital & Mobility Fellow of the EU at the University of Groningen in Holland until 1994, Research Fellow at the California Institute of Technology (CALTECH), Chemical Engineering, Pasadena USA until 1996 and Research Associate at the University of Maryland at College Park (UMCP) USA, until February 1999. In addition, he was visiting research scientist at NRL, Washington DC in 1992 and at IBM Zurich Research Laboratory, Switzerland in 2006 and 2007. Since 1999, he is research director and head of the MBE laboratory and Surface Analysis laboratory at the Institute of Materials Science of the National Center for Scientific Research DEMOKRITOS, Athens, Greece. He has authored or co-authored more than 120 technical presentations in refereed journals and archives including a review article in MRS Bulletin July 2009 issue and 3 monographs in Springer book chapters. His work has received 1435 citations with an h-index of 21. In addition, he has more than 30 invited presentations in conferences including keynote, conference tutorial and summer school lectures. He is co-editor in a Springer book “Advanced gate stacks for high mobility semiconductors” and guest editor in three special volumes of international journals. He has organized MRS and E-MRS symposia in 2005 and 2003, 2009 and 2010, and he has chaired the INFOS 2007 conference in Athens. He has served as chair of the technical program committee of the ESSDERC 2009 conference held in Athens, chair of the advanced CMOS subcommittee for ESSDERC 2011 in Helsinki and he is now chair of the Process Technology subcommittee of IEDM 2012 to be held in San Francisco. He also serves to the Steering Committees of ESSDERC-ESSCIRC and INFOS conferences and to the International Advisory Committee of ICSI conference. He is a member of the Emerging Research Materials (ERM) working group of the ITRS Roadmap. His expertise includes MBE growth of semiconductors and high-k oxide dielectrics, nanodevice processing and materials characterization & device electrical testing. He coordinated several European-funded STREP projects (FP7-ICT-“DUALLOGIC”, FP6-ICT-“ET4US”, FP5-IST-“INVEST”) and FP6-Marie Curie “ACT” project in the areas of advanced CMOS based on high-k gate dielectrics and high mobility (Ge, III-V) channels. He is currently leading FP7-PEOPLE 2010-“REACT” and FP7-FET-“2DNANOLATTICES” STREP project targeting post CMOS devices beyond 2020. Finally, he has been recently awarded an ERC (IDEAS) Advanced Investigator Grant 2011 –“SMARTGATE” -Smart Gates for the ‘Green’ Transistor- to work on steep slope switching devices for energy efficient nanoelectronics.